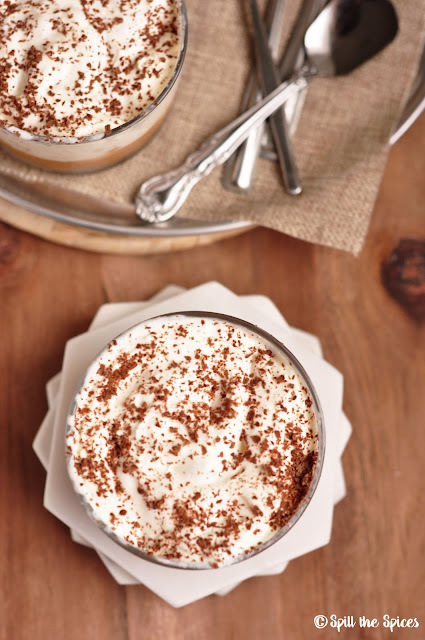 Banoffee pie is an easy British dessert made with digestive biscuits, dulce de leche, bananas and whipping cream. 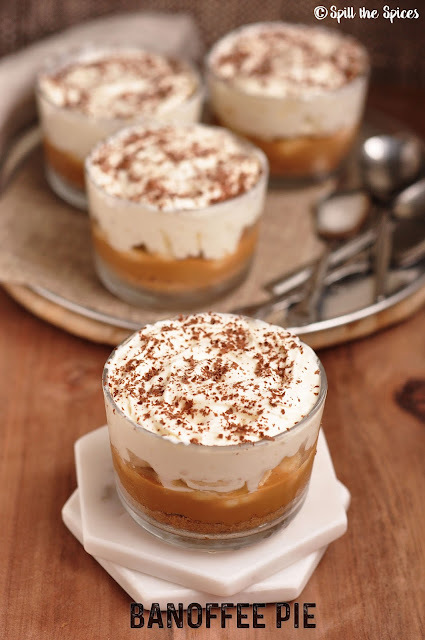 It can be made in a pie tin, but I made them by layering in glass cups for easy serving and portion control. This no bake pie can be made ahead and apt for potlucks and parties. 1. Crush the biscuits to a fine powder and add the butter. Mix well. Spoon the biscuit crumb equally into the 4 cups. Chill for 10 minutes. 2. Top with 2 tbsp dulce de leche and layer with bananas. Keep refrigerated. 3. Whisk the whipping cream with sugar until stiff peak forms. 4. Spoon the whipped cream equally into the 4 cups. Sprinkle grated chocolate on top. Refrigerate until ready to serve.